Years ago I read a book titled “Are you Really Too Sensitive” by Marcy Calhoun. 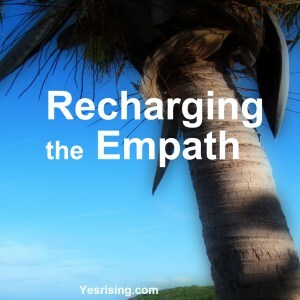 That was the beginning of my understanding through someone else’s words, what an empath is, why I felt that way I did, and how to take better care of myself. The dictionary describes empath as “a person with the paranormal ability to apprehend the mental or emotional state of another individual.” I will add “whose world is bombarded with feelings and thoughts, oversaturated with internal and external data, that which then, becomes understatedly overwhelming.” Am I speaking your language?